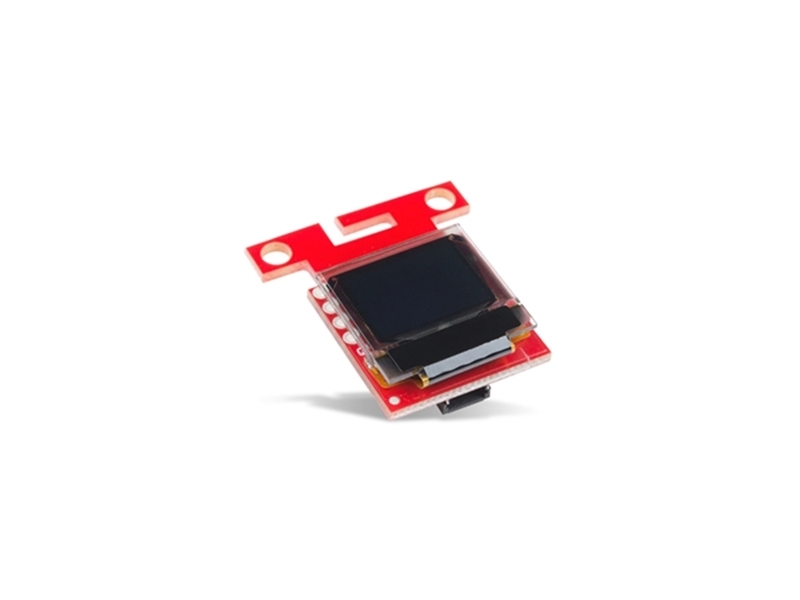 SparkFun Qwiic Micro OLED Breakout is a monochrome blue-on-black OLED-display designed for adding graphics and displaying diagnostic information without restoring to a serial output. The OLED display is crisp, measures 0.66 inches across, and has a screen which is 64 pixels wide and 48 pixels tall. This breakout board features a 3.3V operating voltage, 10mA operating current, and I2C interface. The Qwiic Micro OLED Breakout includes ADDR and I2C pull-up jumpers that allow users to change I2C address or have their own I2C pull-ups. You can check out our OLED products here.